Provide comfort for the family of Elizabeth Lord with a meaningful gesture of sympathy. 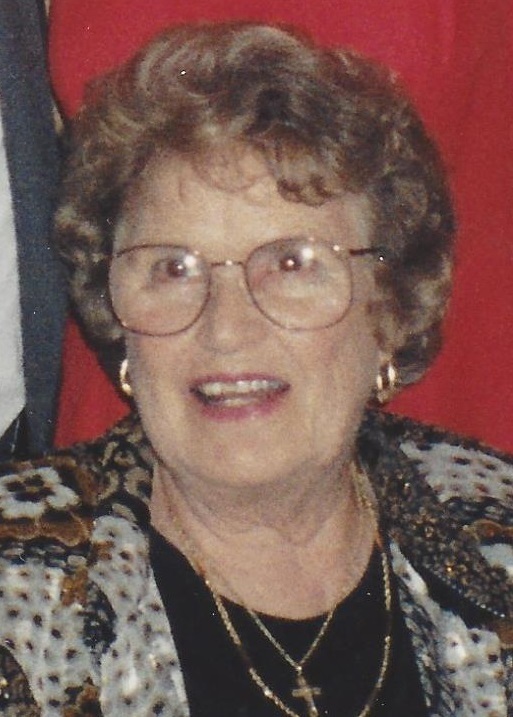 Lord, Elizabeth "Betty", 92 of Somers Point, died peacefully Tuesday, March 19, 2019. Born in Philadelphia on April 22, 1926, she was raised in Northfield, married her husband, Stewart H., and raised their children in Linwood. She was a beautician at Sam & Maxine's Barber & Beauty Parlor in Atlantic City. She was also co-owner of Lord and Endicott Service Station in West Atlantic City. She will always be remembered as a very "special and giving lady" by all who knew her. She enjoyed shopping, spending time with her family, and doing crossword puzzles. She was a fabulous cook and enjoyed hosting family and holiday dinners. Betty was predeceased by her husband, Stewart H.; her sisters, Dorothy Hughes, Hazel Brodzinski, and Catherine Santoro; and her brothers, Daniel Hughes, Thomas Sykes, and John Sykes. She will be sadly missed by her daughter, Kathleen Schlemo and husband Albert of Linwood; her son, Robert and wife Judy of Somers Point; her grandchildren, Cynthia Weir and husband Kevin of Ramsey, NJ, Stacy Herr and husband Craig of Denver, PA, Kourtney Schlemo and fiance Matthew Corbo of Egg Harbor Twp., and Kelly Hainsworth and husband David of Egg Harbor Twp; and her great grandchildren, Matthew and Patrick Weir, and Bethany and Riley Herr. Relatives and friends will be received on Sunday, March 24, 2019 from 11:00am until 12:00pm at Adams-Perfect Funeral Home, 1650 New Road, Northfield. A funeral service will be held at 12:00pm. Interment will follow in Laurel Memorial Park, Pomona. Bob, Kathy, family members & all who loved your mother, my deepest sympathy on your loss. Keeping you in thoughts & prayers, may Betty rest in blessed peace.